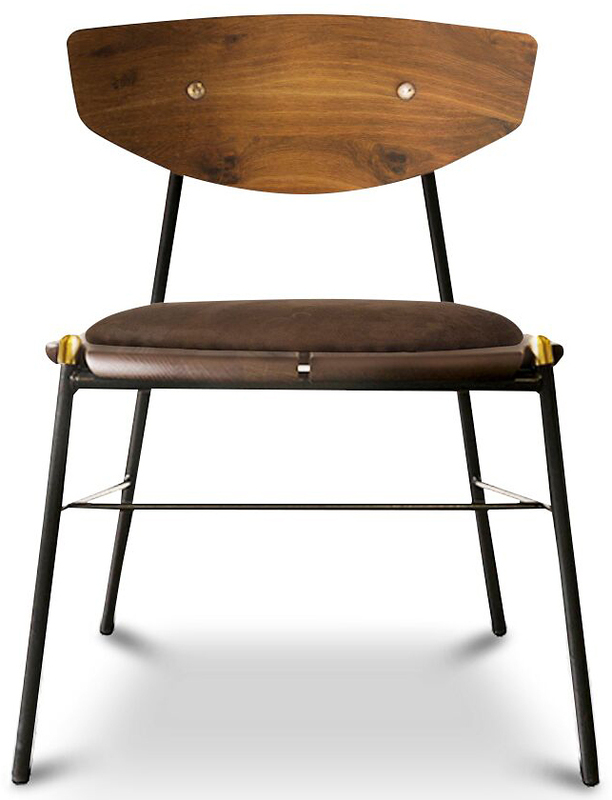 The Kink Dining Chair features a design Inspired by authentic industrial sentiment and creatively merges the concepts of build and design. 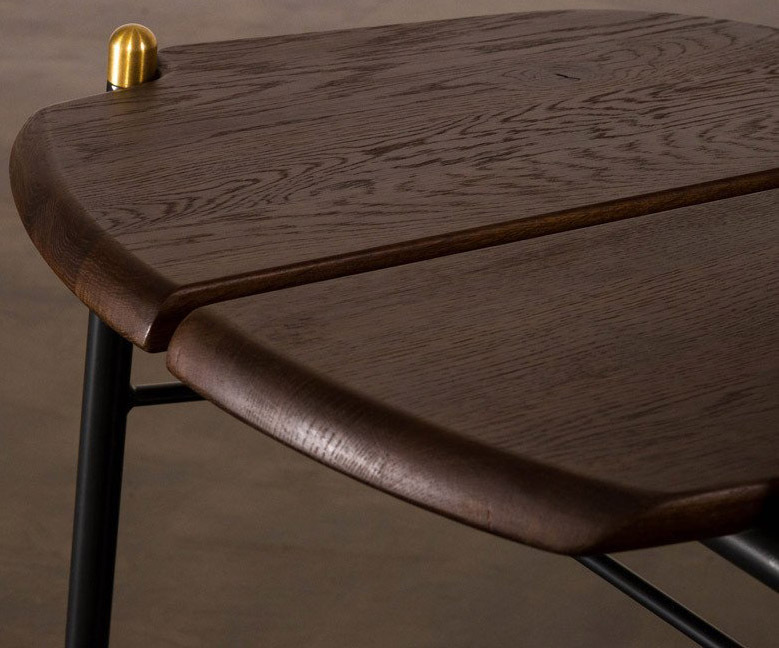 Kink Dining Chair is engineered using a combination of raw materials, which provide the uniqueness and durability to be enjoyed for years to come. 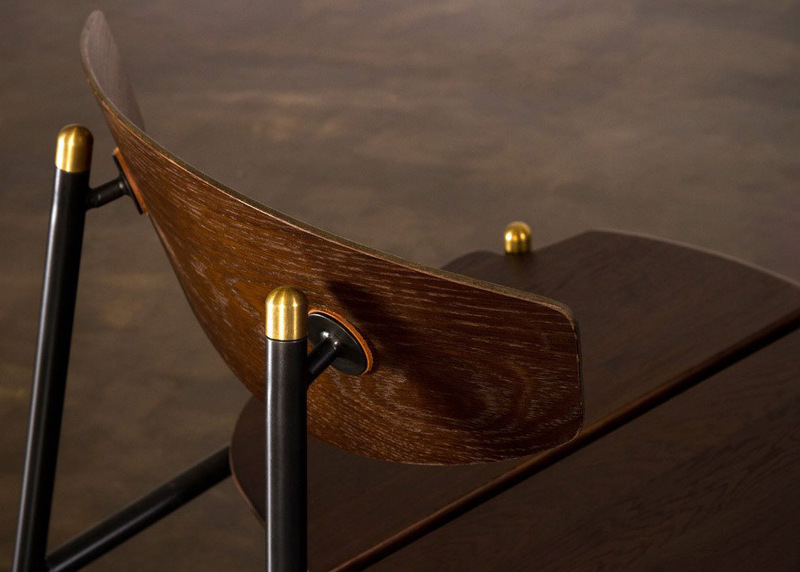 This chair is constructed using a black steel frame with brass details and a solid oak seat and oak veneer backrest. 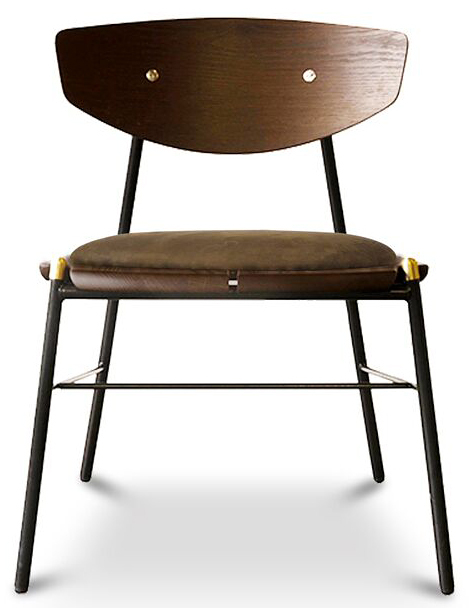 The industrial style chair is then given a seat made using CFS foam and upholstered in leather. Kink comes in two versions, Jinn Green Leather Seat with Hard Smoked Finish And Smoked Oak Veneer Backrest and Umber Tan Leather With Hard Fumed Finished And Hard Fumed Oak Veneer Backrest.